A lot of people seem to have a theme for their wedding and I never really thought of having one for ours until we started making all of our wedding crafts. The Hubs and I were both born and raised in California, we met at Cal (Berkeley), and our love is California grown, so California Love seemed most appropriate. Plus, I love all things heart shaped. 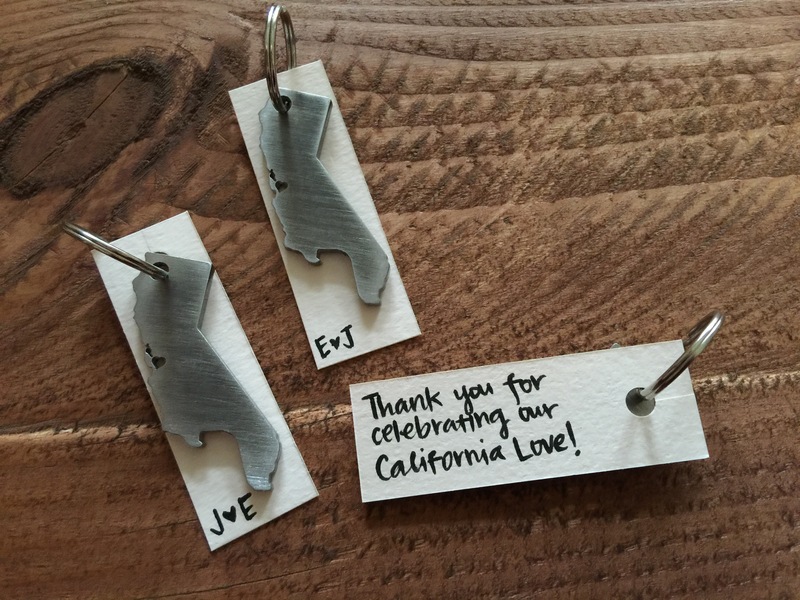 Here’s a peak at our wedding favors: laser cut California bottle openers with a tiny heart in the Bay Area. I wish I could take credit for making these, but I actually found them on Etsy. 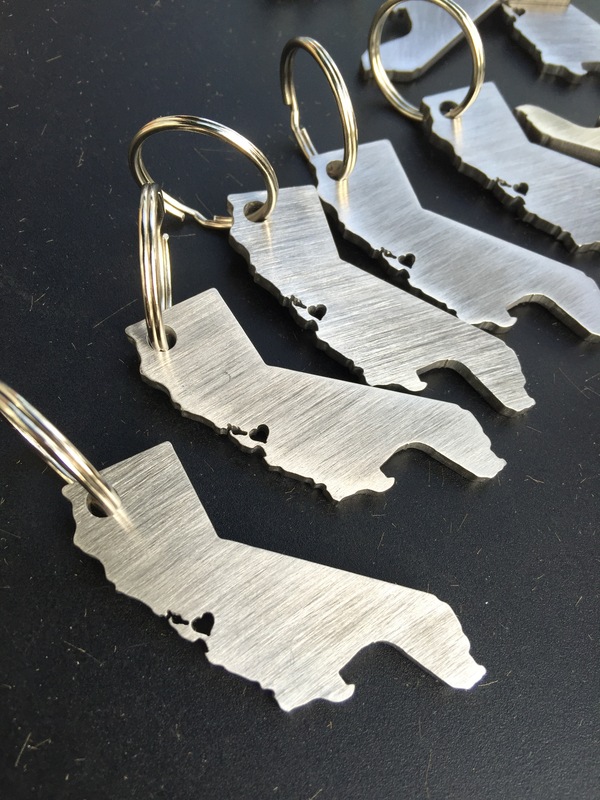 When I came across the California bottle openers I got super excited. What was even more exciting is that the maker – Julian of Sheety Metal Gifts – is based in our city of residence. If I wasn’t making it myself, supporting handmade businesses was an important element I wanted for our wedding. 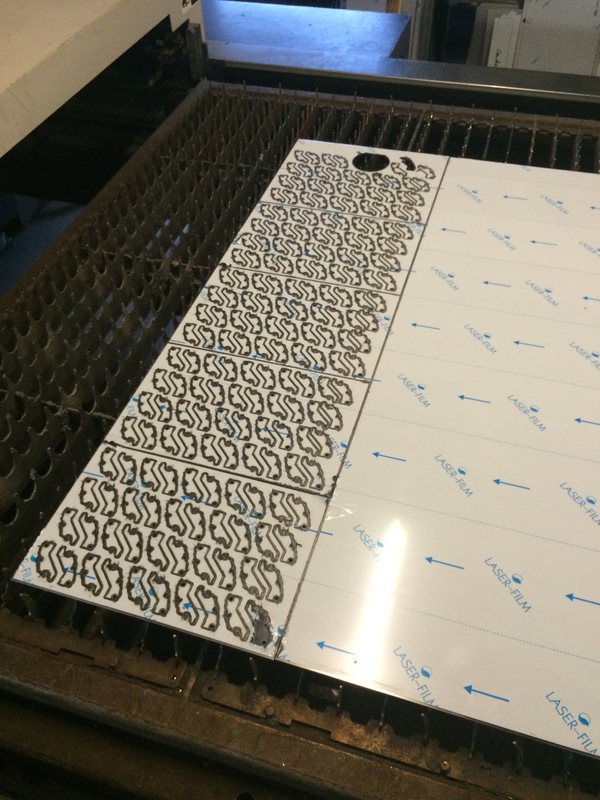 Here are the bottle openers fresh after the laser cutting stage. 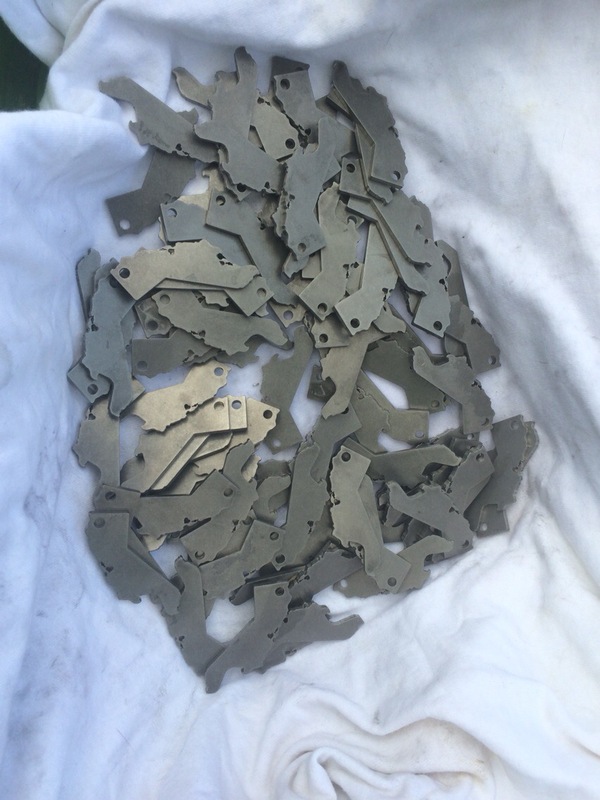 After cutting, the little Californias went into the metal tumbler for polishing. 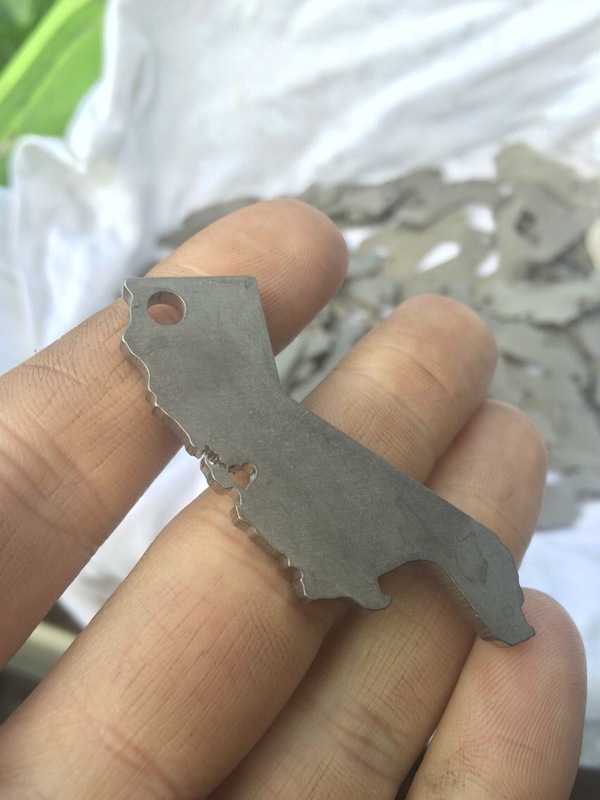 Once out of the polisher, Julian added the grain back to each piece. Best tasting, silliest, most useful, or favorite wedding favor you’ve ever received. Go! Yes!!! Golden fortune cookies with love note inside in purple ink? 🤗 Or something punny with s’mores. Next Posta lesson in pie.